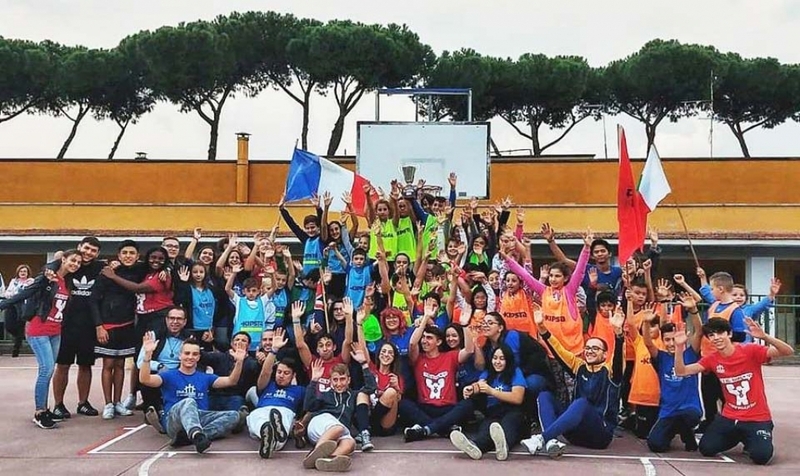 (MissionNewswire) The Salesian oratory of the Borgo Ragazzi Don Bosco, located in Rome, Italy, held the BorgOlimpiadi 2018 from Oct. 20-21. The sporting event featured four rival youth teams from Madagascar, France, Albania and Australia who came together to compete and show sportsmanship. The event, which fostered a sense of belonging and friendly rivalry, was organized in collaboration with parents, teachers, Salesian staff and volunteers. Youth from the Vocational Training Center of the Borgo Ragazzi Don Bosco prepared meals and snacks for the participants. Today, almost all Salesian programs include some form of recreation and some programs have developed more formal socio-sports components. Sports and recreation provide youth a chance to connect with their peers, gain team building skills and have fun in a supportive environment. Borgo Ragazzi Don Bosco is one of several Salesian programs across the country that include an oratory and a vocational training center. The training centers provide the skills youth need to enter the workforce and find and retain stable employment in order to escape poverty and lead productive lives.